Syunik Province of Armenia is of strategic importance. It’s a major industrial center. Besides, it’s the only province that shares border with Iran, acting PM Nikol Pashinyan said during the pre-election rally of “My step” block. “If Yerevan is the head of Armenia, Syunik is the backbone of entire Armenia, even Artsakh”, Pashinyan said, adding that the only road linking Armenia and Iran passes through Syunik. “We have two borders, with Georgia and with Iran. We have entries to Georgia through 3 provinces, but Syunik is the only province linking Armenia with Iran. This is the reason why Syunik has a strategic importance”, he said. 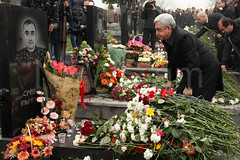 The acting PM recorded with pain that drug trafficking cases are often exposed in Syunik. “Some part of those drugs is exported from Armenia, jeopardizing the reputation of the country, and some part remains here, jeopardizing the health of the young people. 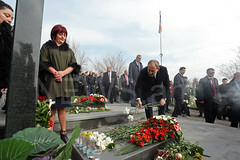 It would be naïve to think that only foreigners are involved in this crime”, Pashinyan emphasized, adding that it’s a key task for him to eliminate the drug transit route through Syunik Province. The head of the government stated that they want Armenia where violence, extremism, corruption, fraud and oligarchy don’t have a place. "I announced yesterday that there are no oligarchs in Armenia anymore, which was followed by comments that were seeking some sort of suspicious deals behind this announcement of mine. Let’s note for the record what the talk is about. What does oligarchy mean, it means the power of the few, an oligarch means a representative of the power of the few. I am saying that the power of the few in Armenia has collapsed and that the people’s power, meaning your power, has been established. This doesn’t mean that the people who were formerly called oligarchs ceased to exist, but it is their status that has ceased to exist. This is the reason that I say – there is no oligarchy in Armenia, the power of the many, the people’s power is established in Armenia,” Pashinyan said.